One of the hero features first introduced with Windows 10 is Windows Hello. You’ve undoubtedly heard about this futuristic biometric login feature back when Windows 10 first hit the scene, but as Microsoft rolls out more and more Windows Hello supported devices, it’s more likely that you’ll actually be able to use it. So, we thought now would be a good time to walk you through how to set it up. First all, what is Windows Hello? 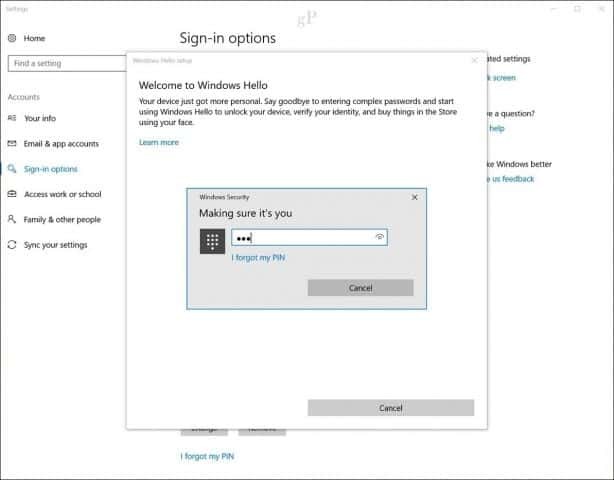 Windows Hello is one of several methods for signing into Windows 10 using biometric recognition. 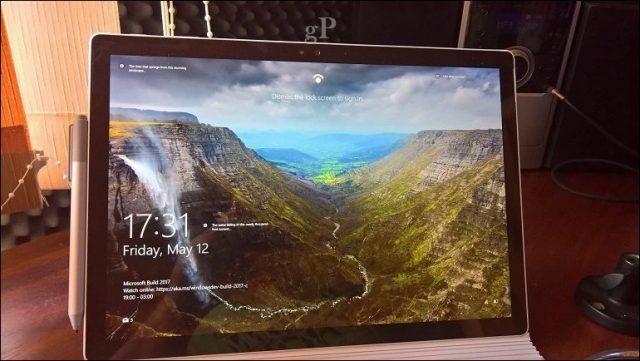 Devices such as the Surface Book or Surface Pro 4 and some third party devices support Hello. Using facial recognition or your fingerprint to sign in is fast, convenient, and secure—especially when compared to complex or easy-to-forget passwords. No more leaving sticky notes on your monitor or beneath your keyboard with your password on them! Windows Hello is quick and easy to set up. 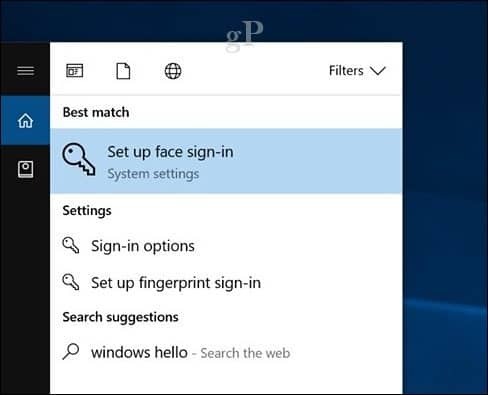 Click Start, type: Windows Hello then hit Enter. Click the Set up button under Windows Hello. Windows Hello supports other forms of recognition, such as fingerprint scanners. For this article, I am using the Face Recognition option. Enter your password or PIN. Now we arrive at the fun part. 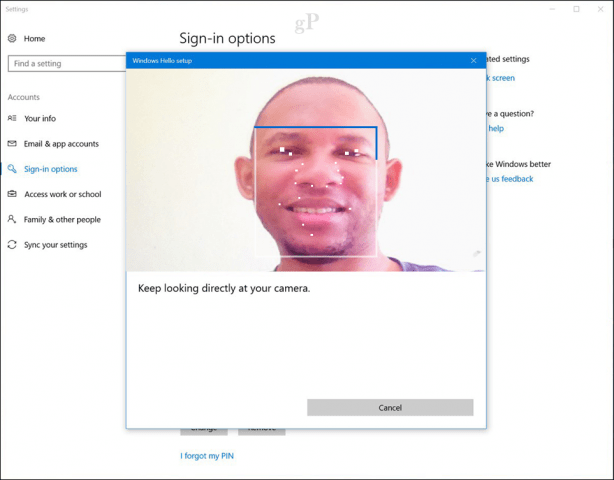 Windows Hello setup will require that you look at your biometric camera while it creates a unique pattern of your face, which will be used to authentication. 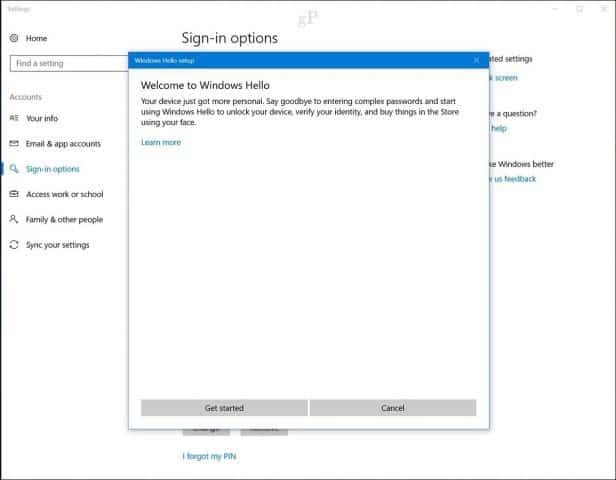 Once your biometric information has been created, Windows Hello setup will let you know. 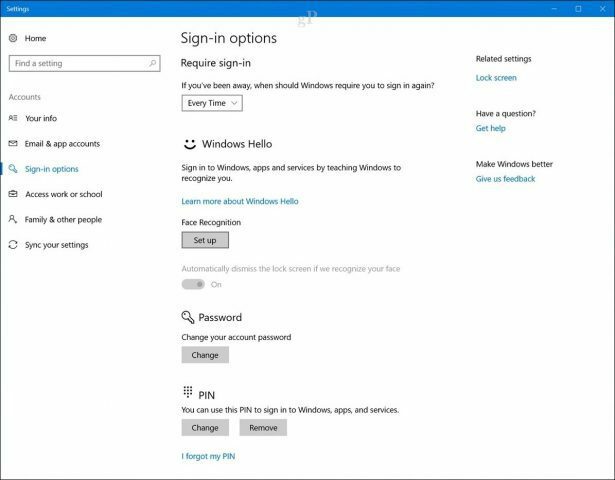 Close the wizard and start using Windows Hello to sign into Windows 10. Signing into Windows 10 with Windows Hello is effortless—just look at the camera. Once your face is detected, you will see your desktop. In fact, it’s so fast, you might not even notice it working. It looks like something out of a sci-fi movie. What Type of Information is Collected by Windows Hello? The thought of using your face or other biometric data may raise privacy concerns about Windows Hello. Is there a possibility of identity theft, especially since it uses the camera to identify and sign you into Windows 10? According to Microsoft, the company does collect some data in order to improve the recognition capabilities of the technology. 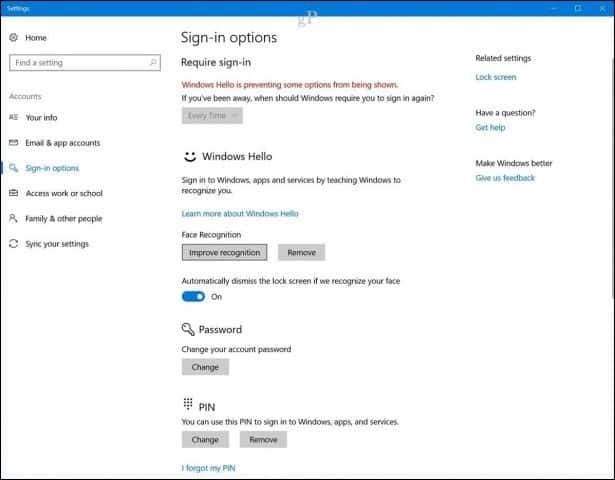 If at any time you want to stop using Windows Hello, you can open Settings > Accounts > Sign-in options then click Remove under Windows Hello. 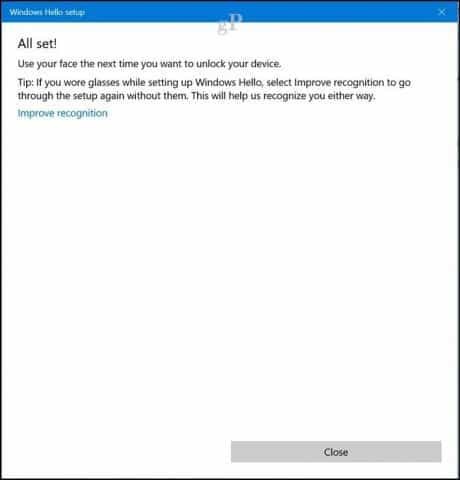 You can also improve the accuracy of Windows Hello using the Improve recognition wizard. Windows Hello is an awesome feature. It is, after all, a flagship feature of Windows 10. If you own a supported device, you definitely should be taking advantage of it. It’s fast, it’s safe and beats complex passwords and the famous easy ones like ‘12345’ and ‘mycatsname’. If you don’t have a supported Windows Hello device, there are third party add-on webcams you use. Microsoft has a list of devices you can check out that support it. Remember to check out a new authentication feature added to the latest version of Windows 10 called Dynamic Lock. Dynamic Lock can use a Bluetooth, which automatically locks your device when you step away from it. Not interested? Check out Brian’s tutorial detailing how to use more traditional sign in methods such as PIN and Picture Password. If you are able to setup Windows Hello or any of the new security features in Windows 10, tell us what you think of it in the comments. When I go to the sign in options there is no REMOVE button for Windows Hello like above. I think it’s ridiculous and invasive to have to provide a face or a fingerprint to access my own computer.